Engine carbon deposits have been around for more than 100 years. They start out as fresh oil and gasoline. The engine uses heat, compression and combustion to turn most of the fuel into power. But, during some combustion events, a droplet of fuel or oil is transformed into a substance that can become a carbon deposit. This typically happens when there are conditions that are outside of the normal operating conditions. If you have been a technician for more than 40 years, you know that carbon deposit problems occur along with changes to engine and emissions technology. In the early 1970s, carbon deposit problems occurred when emission control devices were introduced and OEMs leaned out the fuel mixture. In the late 1970s and early 1980s, feedback carburetors and primitive fuel injection systems caused carbon deposit issues. In the late 2000s, direct fuel injection presented new challenges for controlling carbon deposits on the intake valves. There are three reasons why direct-injection engines are more prone to carbon deposits, one of which is unique to direct injection, while the remaining two are also problems for port fuel injection, but are made worse by direct injection. The main reason is that fuel and added detergents are not hitting the back of the intake valves. By injecting the fuel directly into the cylinder instead of at the back of the valve, the gasoline and detergents can’t clean the valve and port. Second, leaner mixtures and higher combustion pressures can make the problem worse over time. A direct fuel injection motor produces more energy from a given amount of fuel and air than a port fuel injection engine. 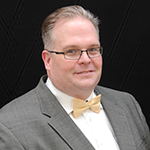 Today’s engines operate on a ragged edge between optimal efficiency and a misfire. There is not much room for error, like hot spots in the combustion chamber or a worn spark plug. When a hot spot or sub-optimal flame front is created due to turbulent air, the amount of unburned fuel in the combustion chamber increases. When the valve opens during the intake stroke, it might come in contact with these byproducts, and, unlike the exhaust valve, the gases passing by are not hot enough to burn them off. Third, the intake valve goes into the combustion chamber, regardless of whether it is port fuel injected or direct injected. When it does, for that small period of time, the valve is exposed to combustion byproducts that can stick to its neck. 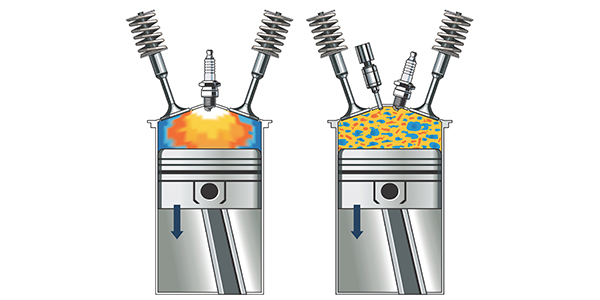 If the previous combustion cycle was less than optimal, the intake valve is exposed. Some direct-injection vehicles with variable valve timing (VVT) can expose the valve to combustion byproducts as the valves adjust, which creates a scavenging effect to either pull or leave behind a small amount of exhaust gases in the chamber to control NOX emissions. Also, some turbocharged direct-injection engines will leave the intake and exhaust valves open at the same time in order to keep the turbo spinning to reduce lag. The most common symptoms for direct-injected carbon deposit issues are misfire codes, stumbling and suspicious fuel trim numbers. On a scan tool, the engine may show a loss in volumetric efficiency. The driver may complain about a loss of power, poor fuel economy and hard starts. 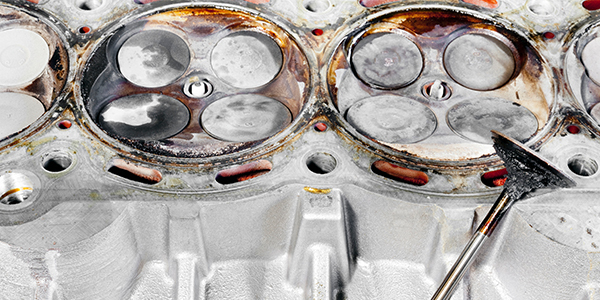 The most likely culprits are carbon deposits on the intake valves. Deposits cause the air to tumble into the combustion chamber, and this turbulence causes the air/fuel mixture to be unevenly distributed. When ignited, the flame front can be erratic, leave unburned fuel and create hot spots in the combustion chamber. When the early direct-injection engines hit the three-year or 30,000-mile mark, some developed driveability problems due to carbon buildup on the necks of the intake valves. Some direct-injection engines with carbon deposits have bad timing. The modern engine typically has VVT and even cylinder deactivation. The engine management system can control when, how long and, in some cases, how deep the valve goes into the combustion chamber. If an intake valve is dropping into a combustion chamber with combustion byproducts or unburned fuel, the valve might be exposed to the precursors that cause carbon buildup. Positive crankcase ventilation (PCV) systems are sometimes blamed for leaving an oily film on the intake valve that is then baked into carbon. Some blame the valve overlap during the intake stroke that eliminates the need for an EGR valve. Some even have cited cylinder deactivation modes that can create positive pressure. There are several fixes available to solve carbon buildup problems. The first is preventive maintenance. Scheduled oil changes can keep the camshaft actuators working in optimal condition to control the exposure of the intake valves. Spark plug replacement can reduce the amount of unburned fuel in the combustion chamber that can stick to a valve. Fuel injector cleaning can help injectors maintain the correct spray geometry to prevent hot spots. But, the number one method for preventing a carbon buildup problem is updating the engine management software. New software can reduce carbon deposits by reducing the exposure of the valves to conditions that cause carbon buildup by adjusting valve and spark timing. Don’t assume that you will find a TSB saying that a reflash of the ECM will correct a carbon buildup problem because most of the updates will be contained in normal housekeeping that may never mention a problem. You may even have to check the OEM’s website to see if the vehicle has the latest version of the software. If the vehicle has reached the point where the deposits are affecting performance, you might be able to remove the deposits with a chemical cleaner injected into the intake. This process might work to alleviate problems or become a recommended maintenance item for owners with direct-injected vehicles. Another option is more invasive and requires removing the intake manifold and removing the deposits with brushes or a sand blaster. This can be costly and is not the most profitable job for your shop to take on.